Exoskeletons are the wearable devices used to increase the physical fitness of the wearer. It can be powered with actuators, electric motors, pneumatics, hydraulics, sensors, levers or a combination of technologies or it can be totally passive. Exoskeleton robots are an exclusive form of specialized service robots. These robots are deployed in a wide range of applications, proposed to mimic, enhanced or augment the body’s own movements. These robots combine human intelligence & machine power to maintain human joints. They support the mobility to the people which are suffering from diseases like parkinson’s disease, multiple sclerosis, stroke and cerebral palsy. 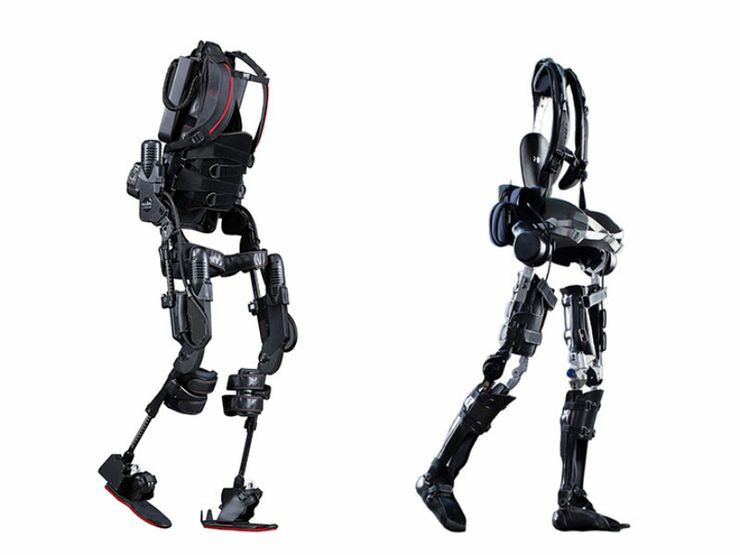 Exoskeletons robotics are also be used to access competence of movement & improve efficiency. According to study, “Global Robotic Exoskeletons Market 2016-2023 by Industrial Vertical, Mobility Type, Product Function, Power Technology and Region” some of the major companies that are currently working in the global robotic exoskeletons market are AlterG, Inc., Cyberdyne, Inc., Bionik Laboratories Corp., Ekso Bionics Holdings, Daewoo Shipbuilding & Marine Engineering Co. Ltd, Honda Motor Co. Ltd., Hocoma AG (A Subsidiary of DIH Technologies), China North Industries Group Corp., Berkeley Robotics Laboratory Exoskeletons, Exoatlet, Panasonic Corporation (Activelink), B-Temia, Lockheed Martin Corporation, Wearable Robotics, HEXORR: Hand EXOskeleton Rehabilitation Robot, Myomo, Noonee Exoskeletons Chairless Chair, Sarcos, Brain-Machine Interface (BMI) Based Robotic Exoskeleton, RB3D, Reha-Stim Harness, DARPA Funded Exoskeleton, Parker Hannifin Corporation, Rex Bionics Plc., US Bionics suitX, Gogoa Mobility Robots, ReWalk Robotics Ltd., U.S. Bionics, Inc. (suitX), Sarcos Corporation. Based on the mobility type, global robotic exoskeletons market is segmented into stationary exoskeletons, mobile exoskeletons and tethered exoskeletons etc. Based on product function, market is segmented into full body exoskeletons, vertical body exoskeletons, lower body exoskeletons and upper body exoskeletons etc. Based on power technology, market is segmented into stationary exoskeleton and mobile exoskeleton. Stationary & mobile exoskeletons technologies are defined as the passive exoskeletons and active exoskeletons. Based on drive system technology, market is segmented into pneumatic actuator, shape memory alloy actuator, electric actuator, electric servo, fuel cell, fully mechanical, hydraulic actuator and others. Based on application, market is classified into mobility aid, manufacture, logistics, rehabilitation, construction and other applications. Additionally, based on industrial vertical, market is categorized into military or defense sector, civilian sector, healthcare sector and industrial sector. Industrial robots helping with the walking, lifting and sitting. The global robotic exoskeleton is driven by huge investment for advanced exoskeleton technology, followed by increasing advancement in robotic technologies, and increased penetration of neurological diseases and growing demand from healthcare sector for robotic rehabilitation etc. In addition, a risk involved with using exoskeletons (owing to vague safety guidelines) and high cost associated with the exoskeletons and stringent government regulations adding to a few major restraint factors of the market. The global robotic exoskeletons leads to balanced growth in the market with a value of over US $3.7 billion including sales, lease, rent, commission fee and other sources, during the anticipated period 2017-2023. This signifies an exceptional & accelerating growth with a CAGR of above 40% in terms of annual revenue across the world.